Welcome to Fratelli's! We first opened our doors in 1997, and since then we've become an award-winning Vancouver-based bakery with a reputation for making delicious treats with a smile! All of our recipes are original and all of our ingredients are fresh. As a result, we've got the best Italian pastries, breads, cookies, cupcakes, biscotti, and cakes in town. (Well, that's what our customers tell us anyway! And we're inclined to believe them. ), Drop by our bakery on Commercial Drive to see (and taste) for yourself what the fuss is all about. You can come in for a sweet treat and a coffee, or to order a specialty cake for an upcoming celebration! Whatever your sweet tooth desires, we have it. That's our promise. 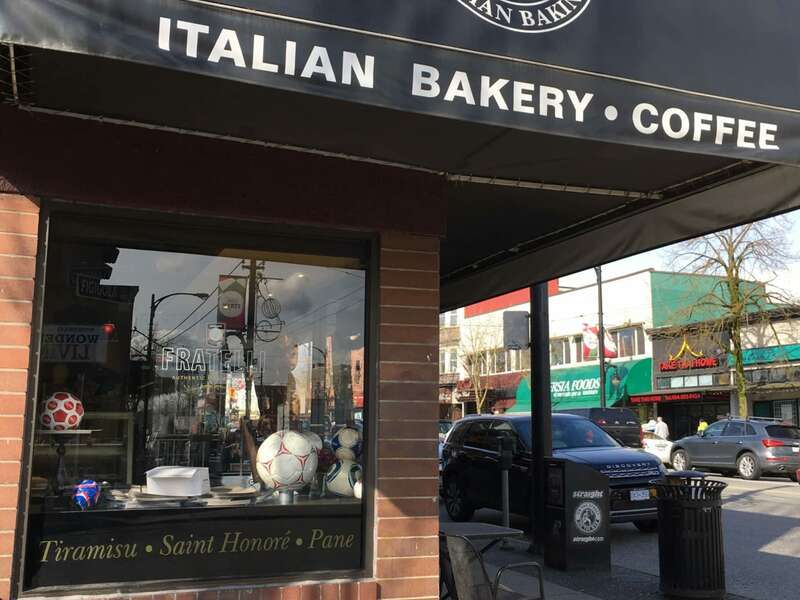 Located at 1795 Commercial Dr in Vancouver, Fratelli Authentic Italian Baking is a local business part of the bakers - retail category of Canpages website. Dial 604-255-8926 to get in contact with Fratelli Authentic Italian Baking that is located in your neighbourhood.